#115 Platinum 7 lb. Sanded Grout Polyblend Sanded Grout is a polymer-modified, cement based grout that produces hard, dense joints that resist shrinking, cracking and wear. 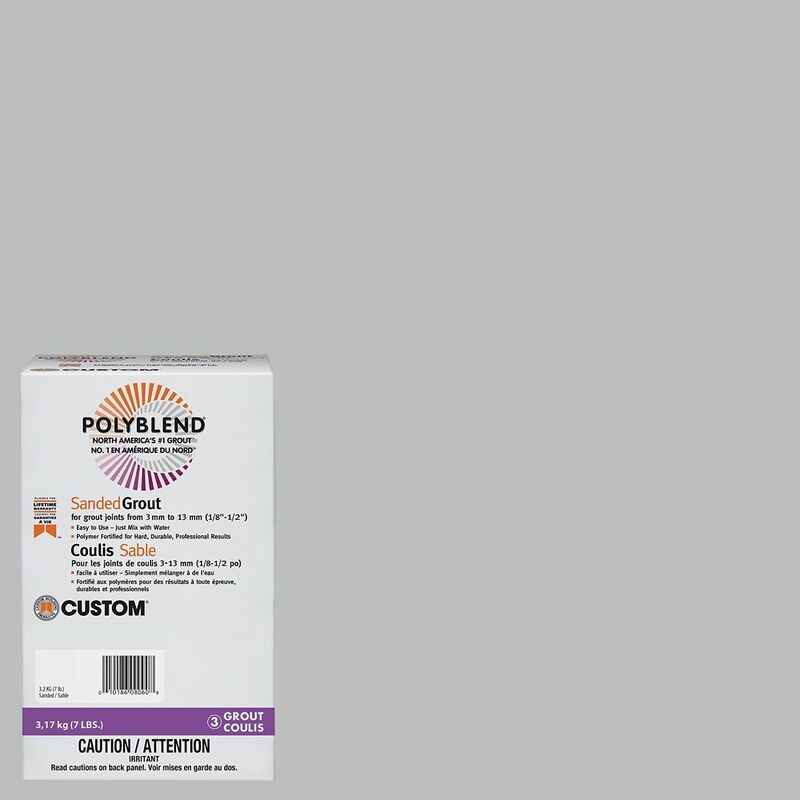 Formulated for durability, Polyblend Sanded Grout accommodates 1/8 in. - 1/2 in. (3 mm 13 mm) joints for interior or exterior installations. Can be used on all types of installations including floors, countertops, walls, ceilings, showers, fountains and pools.